A packed Royal Albert Hall greeted Esa-Pekka Salonen for his first Prom as Principal Conductor of the Philharmonia. 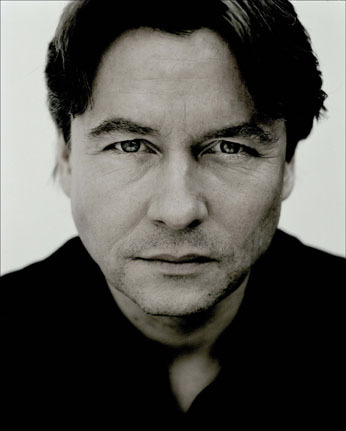 Salonen is a widely esteemed conductor who is renowned for his expertise in contemporary and twentieth century music, and thus the programme for this Prom was well chosen. The conductor's abilities as a technician have never been in doubt, but his ability to communicate the emotion of the music sometimes seems in question. His performance tonight provided some counter-claims to that impression, though it confirmed it in other ways. The opening three dances from de Falla's Flamenco ballet El amour brujo proved something of a damp squib. Though the rhythms were in place, the devilish vitality of phrasing and the fizziness of ensemble were absent; there seemed to be something of a barrier between the musicians on stage and audience in the arena, such that Salonen's careful direction felt punctilious, even boorish. The Hague Hacking, a new work from Dutch composer Louis Andriessen (who celebrates his 70th birthday this year) that received its premiere in January of this year, was a marked improvement. With soloists Katia and Maria Labeque providing a building texture of whirling hockets, Salonen's very deliberate micro-management of pacing and of the forthright trance-streaked rhythms paid dividends; the work progressed to a steely, screeching conclusion where the earlier material was brought forth in an unexpected crowning motion of huge unisons of thwacking splashes of sound given in hammer blow action. A more intimate, even sweet conclusion, qualified in colour some of the harsher scoring heard previously. The second half was devoted entirely to Ravel. The composer's Mother Goose contains in its elegant, enigmatic contours some of the most enchanting music he ever wrote. The incomparable colourist excelled himself in his expansions of the original four-hand piano music on which the ballet is based; though the material is superficially simple, the Pavane for instance being particularly sparse, the writing shades fluorescence into every moment. The refined and nimble strings are at the core of the reduced ensemble, and at every turn the Philharmonia's players were precise and full of keen grace. The wind playing was especially impressive; birdsongs and sighs quietly stole their way through the air as if they would vanish with more definition. Salonen was at the forefront of the effort; with an extraordinary force he calmed and coerced his ensemble into the most intimate, the most expressively poised playing imaginable. The closing Bolero boasted the same dynamic and textural nuance; what was impressive here was the conductor's hold over the careful and cumulative expansion of sonic profile, in combination with an attentiveness to local detail, such that by the shattering conclusion you felt it had been worth it, a feeling often alas in abeyance at performances of this most particular of works.